We at ghmoviefreak.com have always argued that Ghana’s film industry is actually on the rise as opposed to the general consensus that, it is somewhat dead. In the span of the last 3 or 4 years we have seen a significant growth in not just the quality of productions and storytelling, but the resolve of film makers to keep doing amazing work regardless or the economic challenges they face. Although there is certainly a lot more to be than collectively to make the industry better we can’t be totally oblivious of the work being put in by some filmmakers lately. This is why we bring to you our list of ten (10) film projects you should be looking forward to seeing this year. This list highlights TV shows, short and feature length films we are expecting to see this year. A lot of noise was made about this project sometime last year. So much that, its Kickstarter campaign managed to raise a little over 75,000USD for post production. It’s clear enough that, people are already psyched about this project. 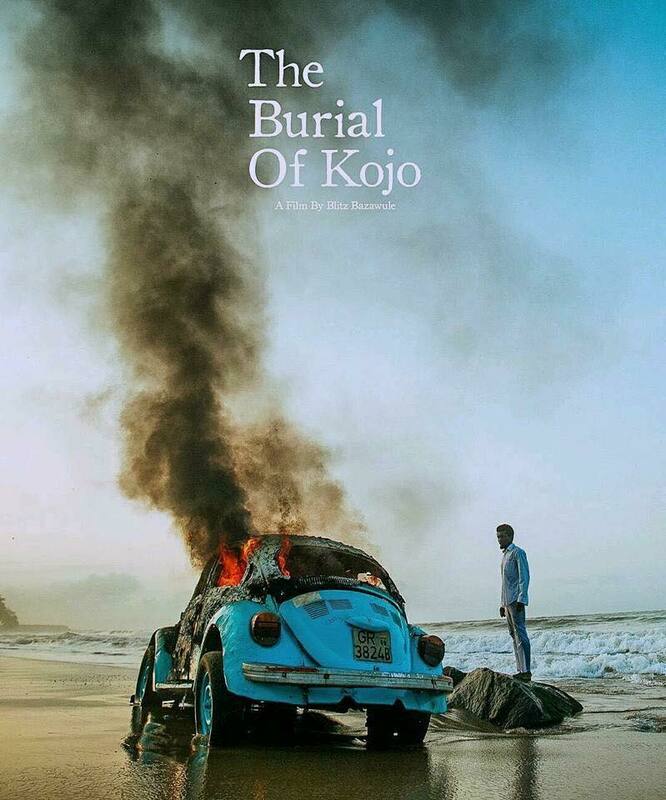 From what we’ve gathered, The Burial of Kojo follows the tumultuous relationship between two brothers, Kojo and Kwabena after Kojo causes a car accident that tragically kills Kwabena’s bride on their wedding day. Kwabena in turn, devices an elaborate plan to seek revenge on Kojo. He lures Kojo to an abandoned mine, knocks him unconscious and leaves him in the mine shaft to die. Kojo must survive with no food and water, while his wife, Ama and a Detective race against time to find him. This directorial debut from Ghanaian, US based rapper Sam Blitz Bazawule (Blitz The Ambassador) stars, Ama K Abebrese, Henry Adofo, Joseph Otsiman, Kobinah Amissah-Sam. It’s IMDb listing shows a 19th April 2018 release date in the United States of America, but we are hoping we would be fortunate to see it on this side of the world before then, fingers crossed. Although not as loud on the digital spectrum like others on this list “Lucky” is one of those films that gets your attention with the simplicity of its title. Who doesn’t want to be lucky? We did some digging and we were lucky (pun intended) to find some interesting details about this project. This feature film details the events in the life of a university student called Lucky, who tries to sell a laptop so he could afford to go on date with the girl of his dreams. The sale doesn’t go as planned and threatens to affect the course of his entire life if he isn’t lucky enough. Clearly another decent example of thinking outside the box when it comes to the story lines of Ghanaian films. The director Togbe Gavua in an exclusive conversation with us described this project as a perfect tragicom, that is a good blend of tragic and comic elements. Togbe Gavua who is behind Abstrakte Studios, we believe is slowly carving a niche for himself with his totally abstract\unconventional (in some sense) style of storytelling. If you have no idea who he is, then take a moment to check out Pappy Kojo’s Nyame Bra, music video. We believe it clearly defines what Abstrakte is all about. 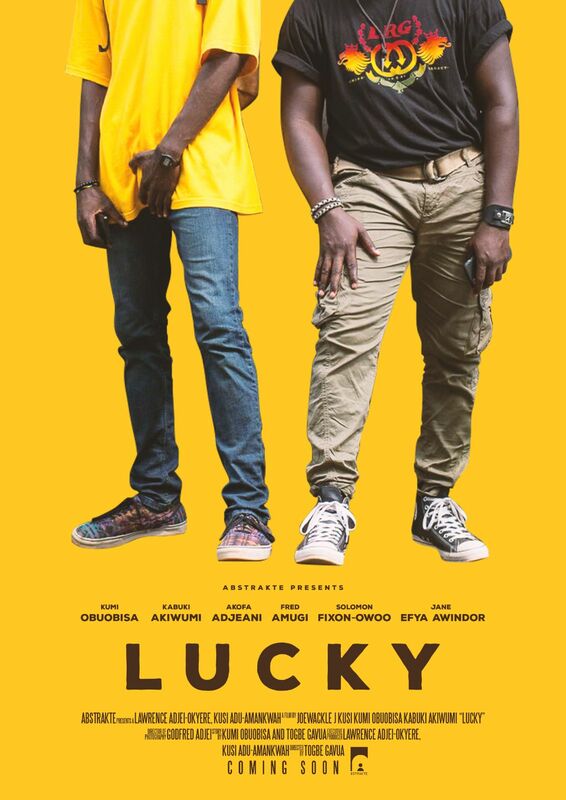 You should expect to see Lucky which stars, Solomon Fixon Owoo, Fred Amugi, Kumi Abousi, Jane “Efya” Awindor and Akofa Edjeani sometime in March this year. This year promises to be a good year for original/local tv content as there seem to be an upsurge in demand for quality TV shows/series. One of these shows we’ve been excited about is Night Shadows from the camp of Blackstarline Films. This action themed series is about an ex-special forces person who gets framed for the murder of his lover and a conspiracy that goes all the way up to the Presidency and the Vatican. Even on the surface this looks like a very good show with a strong concept that is quite different from any show running currently. As at time of this publication we had been reliably informed that both the original director M. Sayibu (director of The Northern King) and one of the leads Johnny B. Hartman had left the show. Our digging further revealed unprofessionalism on the part of the production outfit as the reasons for their exit. 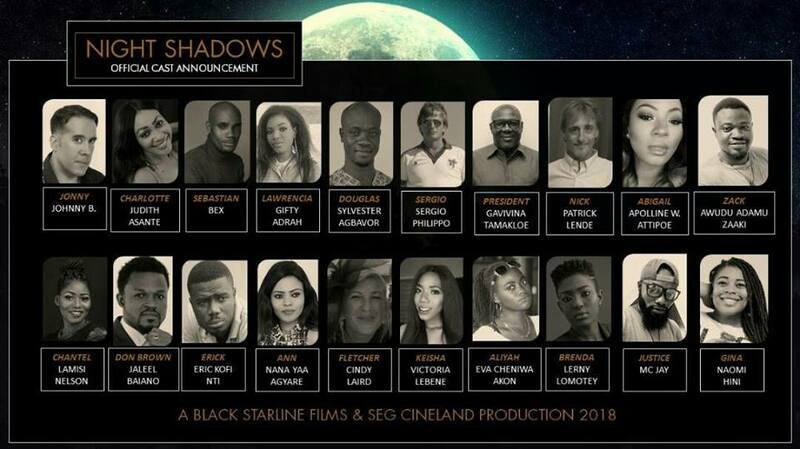 Night Shadows has a very impressive cast line up that is likely to throw some light one some very amazing talents. Although the fate of this project is somewhat hanging the balance, we still felt if should be on this list. As it appears to us that it has a very solid story line that people would love to watch. And we are sure Blackstarline Films wouldn’t want this to go to waste. We will still be on the lookout for Night Shadows this year. If you enjoyed Keteke last year or even heard of it then the name Peter Sedufia is also on your radar as one of the known film directors from Ghana. Keteke came with so much talk even long after its release, so much that everyone is expecting what next from the director. This year, he has for us a film titled “SideChic Gang“. Yes… you read it right, the SideChic Gang happens to be the selected pitch from writer Rachel Adikwu at the Pitch Factory, Peter Sedufia and his OldFilm Productions outfit put together late last year. 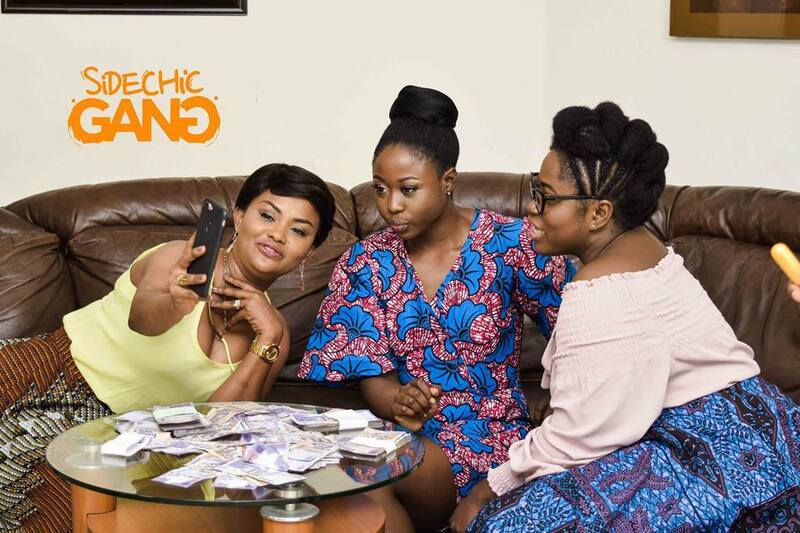 In SideChic Gang, three ladies find out they can make fortunes from exposing cheating husbands and boyfriends after making tons of cash unexpectedly from reporting a cheating husband to the wife. They quit their ushering job to set up “Sidechic Gang” – an agency solely dedicated to clamping down the side chick menace. Their very fruitful run at this begins to face opposition from the many aggrieved men who they had exposed after they got hired by a very rich man who suspects his fiancée to be cheating on him. This feels like a very interesting story and who are eager to see how the director brings it to life. It stars Nana Ama McBrown, Lydia Forson, Sika Osei, Adjetey Anang, Bernard Nyarko, Eddie Kuffour, Akofa Edjeani and a host of other great actors. As at the time of this publication, the producers were wrapping up principal photography of Side Chic Gang which is expected to be released in March this year. From some personal monitoring we did, we noticed the first season of this show was shot some time mid-2017 and has still not been released on any platform yet. But we are very sure we are going to see it this year. 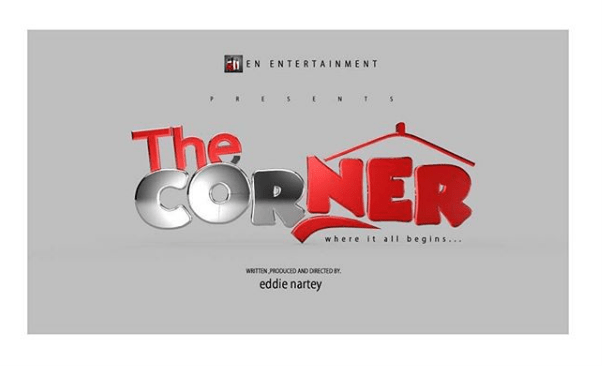 This TV series from EN Entertainment is written and directed by Eddy Nartey (director of Beautiful Ruins) who also handles Artist & Repertoire for the Movies division of Zylofon Media. 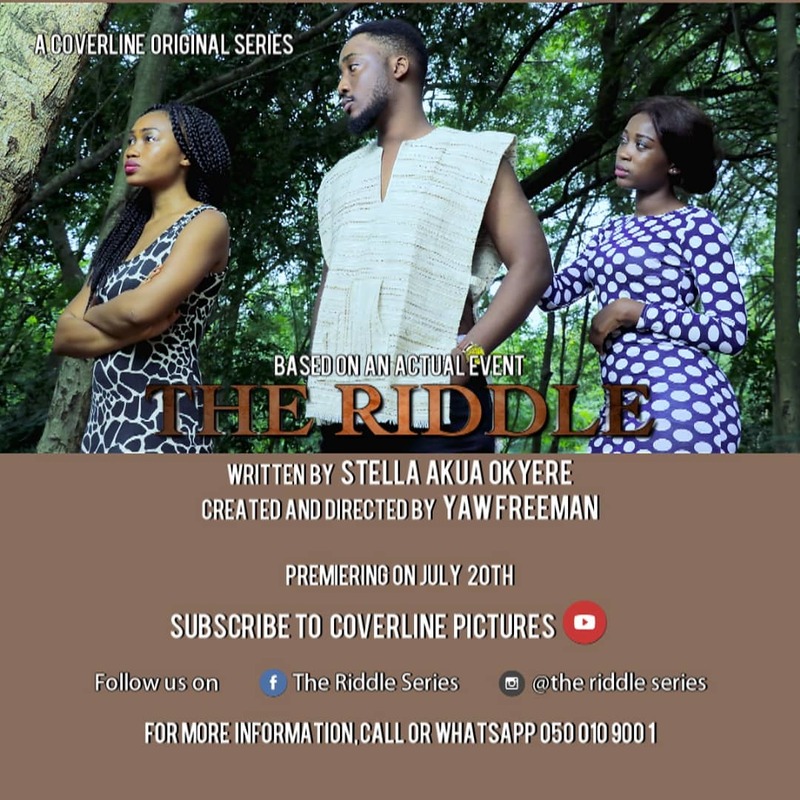 We are not too sure the theme or concept of this series but we can confirm it stars Solomon Fixon Owoo, Victoria Lebene, Daniel Kojo Delong and several other highly sought after talents. We’ve also gathered that is it likely to be one of the grade A entertainment content to be shown on Zylofon Media’s digital television, Zylofon TV which has just started scheduled programming. Knowing the caliber of the production outfit we are sure this would be a show worth watching. Top Five: 2014 Movies You should have seen by now.